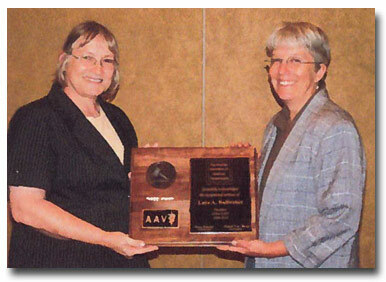 Dr. Lora Ballweber (right) receiving her Recognition Plaque. Dr. Al Marchiondo (right) receiving his Recognition Plaque. 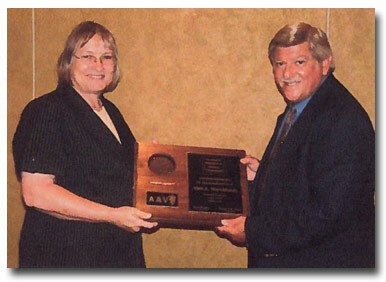 2010 AAVP Distinguished Veterinary Parasitologist Award (sponsored by Merial) – The AAVP Distinguished Veterinary Parasitologist Award recipient for 2010 is Dr. George Condor. 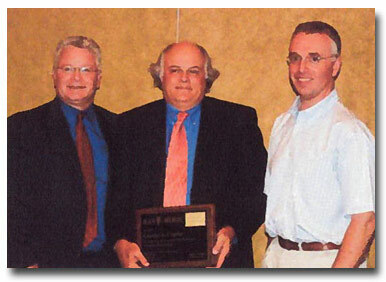 Dr. Doug Carithers (left, Merial, Ltd.) and Dr. Andrew Peregrine (right, Awards Committee) presented the Distinguished Veterinary Parasitologists Award to Dr. George Conder (center)..